Seems like a decent price for a like new copy. I’ve played it when it was released and enjoyed it. Ordered this last night, since its boomerang game rental so hoping for a day one copy with the darkseid dlc! 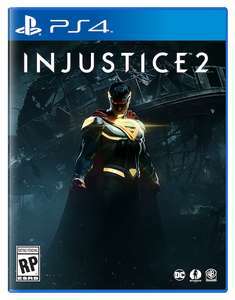 Bought, will go with injustice one which I have yet to play . Last I'll have them both on the same platform. What's the DLC like with this? Ordered this last night, since its boomerang game rental so hoping for a …Ordered this last night, since its boomerang game rental so hoping for a day one copy with the darkseid dlc! Did your one come with the DLC?